For the second time, the famed “Birhen sa Simala” will be taken to Bohol from Cebu in a five-day display of the image inside a local church next week. According to the chancery office of the Diocese of Tagbilaran, the Birhen sa Simala will be displayed at the Cogon Shrine in Tagbilaran City from March 5 to March 9. Diocese of Tagbilaran chancellor Fr. 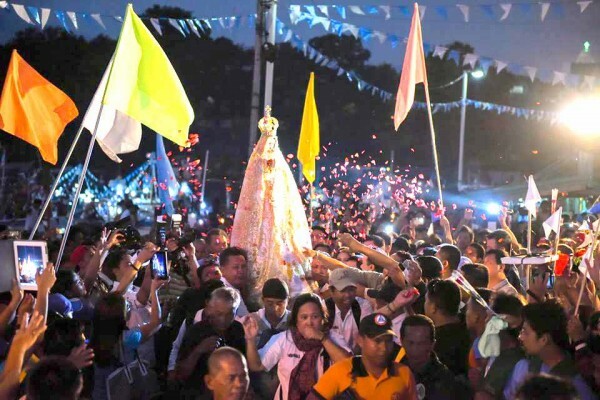 Agerio Paña told dyRD Balita that the image of the Blessed Virgin Mary will arrive at the Tagbilaran City port from Cebu at 2 p.m. on Monday next week. The image will then be paraded through a motorcade from the pier to churches including the St. Joseph’s Cathedral and Dauis Church before it will be taken to the Cogon Shrine. At 7 p.m. on the same day, a Holy Mass which will be led by Bishop Alberto Uy and several priests will be celebrated at the shrine. Various devotional activities will be held almost every hour during the following days until the image is brought back to Cebu, Paña said. Based on the image’s previous display in Bohol, Church officials expect thousands of the Catholic faithful and devotees to throng the Cogon Shrine during the five-day visit.